Multi-vehicle collisions require highly knowledgeable lawyers who can ably handle the range of difficult issues that must be addressed. Attorneys need to determine exactly how the chain of collisions occurred, who is responsible, whether comparative negligence issues apply, which forums can hear the claims, and other issues. At Harris Lowry Manton LLP, our Atlanta multi-car crash lawyers represent Georgia residents in state and federal courts. We are experienced trial attorneys who have obtained some of the top verdicts in the state. Whether the accident happened on a federal, urban, or state road such as Georgia Routes 3, 53, or 166, we can determine how the crash happened by working with investigators, the police, and traffic reconstruction experts. Our lawyers represent the families of car crash victims who were killed and individuals who suffer catastrophic, permanent, and serious injuries. A chain reaction. For example, a third car may rear-end a second car, which may push the second car to rear-end the first car in front. A car can enter the wrong lane. When a car crosses a median strip, or is going in the wrong direction, oncoming cars may either strike the wayward car or they may swerve into other cars or barriers in an attempt to avoid the on-coming car. A truck spill can cause havoc. If cargo spills from a truck, all the cars in the vicinity of the truck that are trying to suddenly screech to a halt or maneuver around the spill can collide into each other or flip over if they come into contact with the spill. Improper mergers. A failure of cars to merge properly can cause the merging cars to collide, which in turn can cause the cars around them to collide. Our Savannah and Atlanta multi-car pileup lawyers will review whether the roads were slippery or icy, whether there was construction going on that caused the cars to be much nearer to each other than normal, whether a driver was drunk, and a full range of other issues in order to determine who is liable for damages associated with the collision. Which defendants are liable? Multiple drivers and owners may be at fault. A manufacturer may be liable for designing a faulty part. The state or county may be responsible for designing a bad road. Does comparative negligence apply? 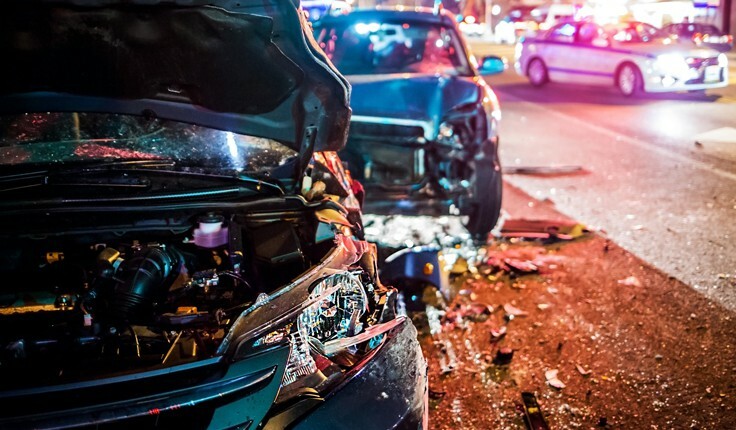 When three or more vehicles collide, the defendants will often argue that injured drivers could have taken steps, such as driving slower, to avoid the other vehicles. Which forum will hear the case? Normally, the county where the collision happened will have jurisdiction to hear the case. But if the injured parties are from different states, the case may be brought in another location. Our Atlanta multi-car accident lawyers may argue that each plaintiff’s case should be heard separately. The litigation lawyers at HLM understand how to negotiate with different insurance companies. Our Atlanta multi-car pileup attorneys represent multiple claimants when there is no conflict of interest, such as when two innocent passengers in the same car are injured. We have obtained many multi-million dollar jury verdicts and settlements for our clients. To speak to a tough but caring advocate, please call us at 404-998-8847 in Atlanta or 912-417-3774, or fill our contact form to schedule a free consultation.